You’ve got questions about home medical alert systems. We’ve got answers! We start with a video about our most popular product, the Pioneer Bodyguard, and then answer frequently asked questions. Scroll below the video to go straight to the FAQs. Base unit for the Pioneer Bodyguard unit. It depends on your exact needs, but our most popular medical alert and monitoring system is only $29.95 per month. Call 800-824-8844 and tell us you saw us online (or use the coupon “HOME SAFETY”) and we’ll include a FREE Medical Lock Box with your order, so that medical personnel can reach you in case of an accident. 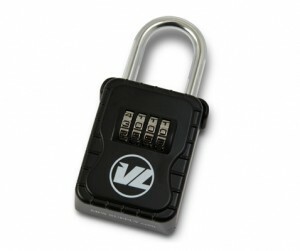 The small Medical Lock Box (a $35 value) is very much like the lock box used by Realtors. You put it in a secure location outside your home (on a pipe or a side gate). Your house key is kept inside, protected by a 4 digit PIN code. When we dispatch emergency personnel to your home, we provide them with the location of the box, and the PIN number. This means three things: paramedics can reach you very quickly, they don’t have to break your door down to get to you, the paramedics can secure the house by locking the front door behind them if you have to transported to the hospital. Why call now? Because these medical alert systems can only save your life once they are installed. Call toll free 1-800-824-8844 and get a FREE Medical Lock Box for telling us you saw us on the Internet. What is your risk-free trial? We’re so confident you’ll love the sense of security and safety our alarm system provides that we offer a risk-free 30-day trial. If you are not 100% delighted with our system, simply return it within 30 days for a full refund. Should I choose the bracelet or pendant necklace? The choice is yours, but we recommend the pendant because it is almost always easier to reach after a fall. Imagine if you fell on your right side, and your right-arm was pinned down. It would be very difficult to reach a bracelet on your left hand. When will my medical alert arrive? In many cases, it will arrive as soon as tomorrow. We ship all orders via Federal Express. Call us toll-free at 1-800-824-8844 or send us a message to get started today! The agreement is for three months, and month to month thereafter. Pioneer has one of the most flexible and risk-free agreements in the industry! What is a Lockbox? The Medical Lock Box is very much like the lock box used by Realtors. You put it in a secure location outside your home (on a cold water pipe or a side gate). Your house key is kept inside, protected by a 4 digit PIN code. When we dispatch emergency personnel to your home, we provide them with the location of the box, and the PIN number. This means two things: paramedics can reach you very quickly, and they don’t have to break your door down to get to you. Get yours FREE by calling us and letting us know you saw our Internet special. We FedEx your medical alert system to you. Simply plug it into a 24-hour AC power outlet, and plug the telephone cord into a phone outlet. Press the wireless button to test your medical system, our live operator will respond to you on the medical alert console to confirm your system is operational. The unit comes with step-by-step instructions, and installation takes 3 minutes. You can always call us with any questions. 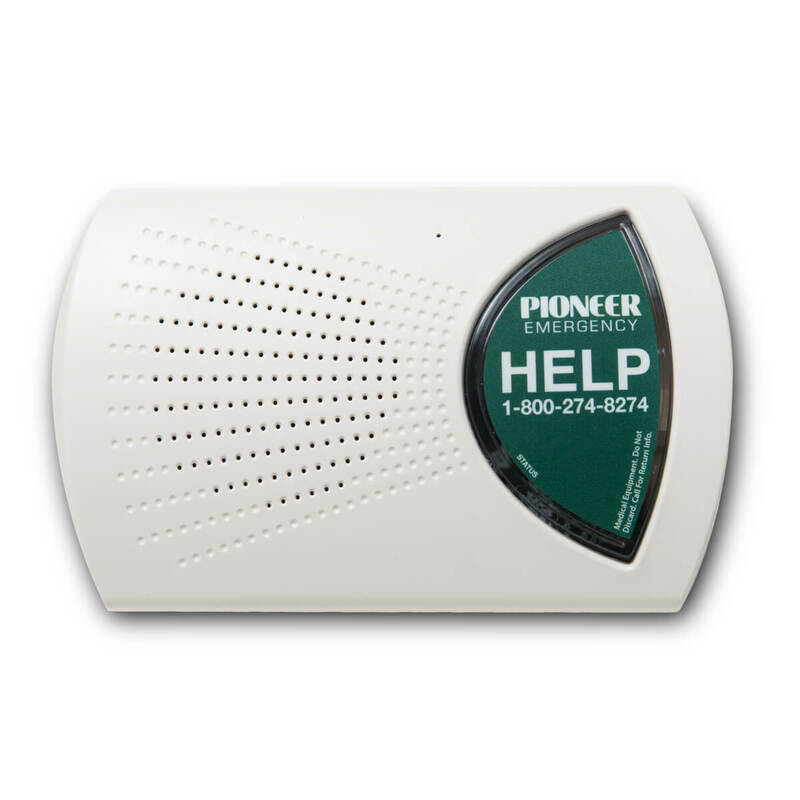 The medical alert system includes a back-up battery that will operate your system for 60 to 90 hours. Before your battery runs out of power, the Bodyguard sends a “low battery” signal to the monitoring center to warn that the system will soon be non-functional. What if I am on the phone when I need to use my medical alert pendant? If you are on the phone connected to the alert system, the system will disconnect your call and send the emergency signal. If other phones in your house are in use, then the system will try to dial the monitoring station 10 times. If it still fails to communicate, the Bodyguard will emit a high-pitched tone alerting that it has failed to communicate. Is there a more full-proof method of communication? Your local phone company can install a special RJ31X jack that allows for total line seizure. If any phone is off the hook or ringing, the unit will still communicate by disconnecting all phones in the premises and then dialing the monitoring station. Will it work from my yard? The range of the transmitter varies, depending upon the location of the base unit and the outside construction materials of the home. In most cases, the unit will operate up to 600 feet from the base unit. How often does the system need to be serviced? Who will provide the service? Your medical system requires no routine servicing. The system has self-diagnostic features, which alert the monitoring center if there is a problem. If the system requires service, we will FedEx a new medical alert system to you immediately. Your medical system should be tested monthly. Test instructions are included in the information delivered with the system. 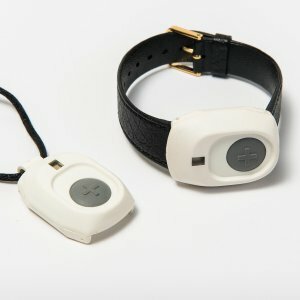 How large is the medical alert pendant? The unit is very small and light weighted and you can select the pendant which is worn around the neck. We also have a wristwatch pendant. The actual size is 1″ x 1″ x 3/8″ thick. Can I use my pendant in the shower? Yes. The transmitter is waterproof and designed to operate in the shower. Ordering is easy. Just fill in the order form or call us at 1-800-824-8844. Does this product come with a guarantee/warranty? The product comes with an unconditional warranty on parts, labor and service. Repairs are free, unless the unit or transmitter is lost. If you drop the medical alert pendant, it should be tested immediately to verify the unit is working properly or not. If it is broken, call Pioneer Emergency and we’ll send you a new pendant at no charge.